A trend in insurance called labor depreciation could leave you holding the proverbial bag when it comes time for a covered repair. The practice, which only continues to grow, can leave claimants without the necessary funds required to rebuild an insured structure. Labor depreciation is a hot topic that has resulted in class action litigation all over the country. Recently, Hellmuth & Johnson attorney and chair of the firm’s litigation department, Rob Keena and I drafted an amicus brief in the most procedurally advanced of these class cases—Labrier v. State Farm. This brief was filed with the Eighth Circuit on behalf of United Policyholders, a nonprofit organization that advocates for both individual and commercial policyholders. In our brief, we represented to the Court that the widespread depreciation of labor is a new practice with injurious results. Although this is a hot topic in the insurance and legal world right now, not many policyholders know about or understand what labor depreciation is or what it means for them. Below is what you should know regarding this harmful practice. 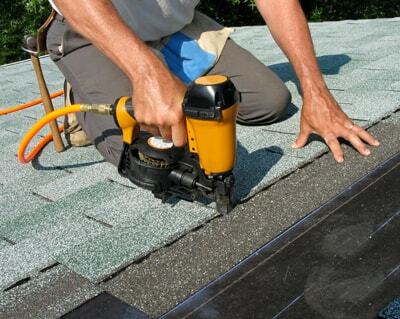 When you have a new roof installed on your home, you pay for the current value of the new materials and labor. However, as time goes by, the roof loses value based on its age, exposure to the elements, etc. This is called depreciation and is both standard and practical. For example, when your roof is damaged by hail and you make a claim through your property insurance, your roof will be valued based on its depreciated state. Labor depreciation, however, occurs when an insurer depreciates not just your 10-year-old roof, but also the labor costs associated with having it replaced. This type of depreciation doesn’t make sense since labor is an intangible. Labor does not stay with the installed roof and suffer wear and tear based on exposure to the elements or lose its value based on age. The labor walks away from the roof and reappears again when it is needed. And, when the labor reappears, it is at its current price. Importantly, this price may actually increase with time based on inflation and other market factors. Why Does It Matter If An Insurer Depreciates Labor? To understand the impact of labor depreciation, it is important to understand how the property insurance policies at issue work. Most property insurance policies are Replacement Cash Value (RCV) policies. This is typically how a RCV policy functions when a policyholder makes a claim. The policyholder suffers a loss; let’s say hail damage to her roof. The policyholder submits a claim to her insurer, but has not fixed the roof yet. The insurer will estimate the value of the policyholder’s claim to determine the Actual Cash Value (ACV) of her claim. If the claim is approved, the ACV is the amount that the insurer will pay the policyholder. Then, if the policyholder moves forward with replacing the damaged roof, she can submit her actual costs to the insurer and then the insurer will pay her what she actually paid to have it replaced—the RCV. Conversely, if she does not replace the roof, she will only receive the original ACV payment. The reality is losses can be sudden and unexpected and not everyone has the necessary funds to front the replacement costs; thus, a lot of policyholders rely on the ACV payment to actually pay for the replacement of their damaged property. So, when the insurer depreciates labor, but labor itself is not depreciating in the marketplace, the resulting ACV amount paid will not be enough for the policyholder to restore the damaged property and they will be forced to somehow bridge that gap between the ACV and RCV in order to have their property restored. Why Is Labor Depreciation A Hot Topic Now? Labor depreciation is a hot topic now because it has become a widespread practice among insurers. In our brief to the Eighth Circuit on behalf of United Policyholders, we argued, based on our research and discussions with experts, that this practice is spreading because of the now prevalent use of a claim estimating software called Xactimate and the benefit the practice confers upon insurers. In short, Xactimate allows insurers to depreciate labor with the click of one button, which makes implementing this practice extremely easy. When that ease is coupled with the clear benefit conferred upon insurers, it is not hard to see why the practice is spreading. Labor depreciation benefits insurers because the more an insurer can depreciate, the less it pays out on the claim initially; thus allowing it to hold funds (premiums) longer and not pay them out unless the policyholder can afford to repair his/her property. Ultimately, if a policyholder cannot afford to actually replace the property because the ACV was too low, it is a windfall for the insurer because they received the benefit of higher RCV premiums when only having to pay out the lower ACV amount. What Is The Future Of Labor Depreciation? The future of labor depreciation is uncertain. Several courts across the country have ruled definitively that labor may not be depreciated, but other courts have come to the opposite conclusion. However, as a result of these class action lawsuits, many insurers have at least started to amend their policies to make it clear when they do engage in labor depreciation. Keep your eye out on this issue because it can have a significant negative impact to policyholders and its increasing use continues to affects more and more people. As for the Labrier v. State Farm case, the Eighth Circuit heard oral arguments in January 2017 and now it must decide whether the district court’s decision granting class certification should be affirmed or reversed. Those of you that are familiar with class practice know that class certification can make or destroy a case. Hellmuth & Johnson will be providing updates once this decision comes in; so, stay tuned to this blog for updates.